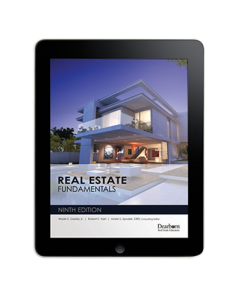 Real Estate Fundamentals has been used to train more than 70,000 real estate professionals since 1981. This text is known for its clear organization; comprehensive coverage of real estate law, practice, and procedures; and easy-to-grasp language. Please call 800.958.6707 for Instructor Resource Access.